NGS Open Gardens | Capability Barn, Hoveringham, NG14 7JH. Sunday, 22nd April 2018 : 12 noon to 4.30 pm. Capability Barn. The delightfully named Capability Barn garden is welcoming visitors to the spring garden in April. 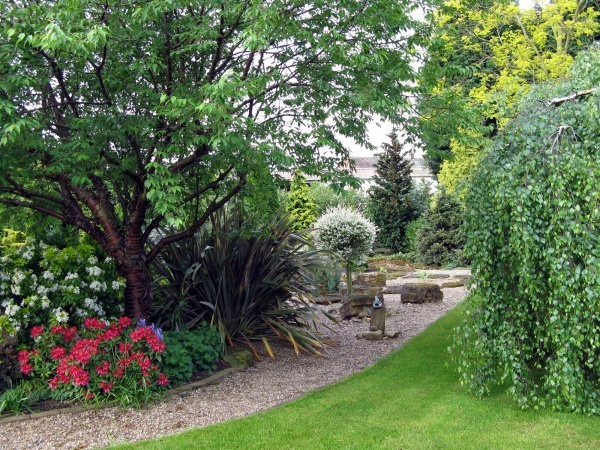 The garden owners are constantly adding to and improving upon an already lovely garden, so there is always something new to see. Spring bulbs are the star attraction a this time of year, together with a stunning wisteria which clads the barn. Parking; plant sales; tea/cake. Event Location: Capability Barn, Hoveringham, NG14 7JH.